The wise-woman Clarissa is a figment escaped from the imaginations of Andrea Ferlin and Matteo Spedicati. From her home at the very edge of the world, Clarissa is master and maker of psycedelic rituals, orgiastic ceremonies and liberating chants. According to tradition, the encounter between the Hazel Duo occurs in the sand amongst the looping, grooving sounds of a nearby dancefloor where music of such strong forces, sometimes tribal,sometimes psychedelic, compelling mortals into a gruelling dance that frees them evermore from sleep. First Ep on SIC for Clarissa Hazel Duo. 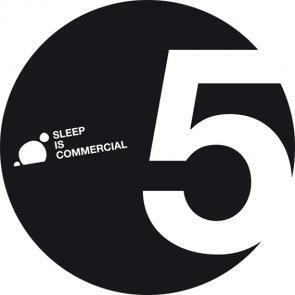 Face also sign the first appereance on SLEEP IS COMMERCIAL of our friend UES. 3 track on vinyl + 2 digital exclusive.